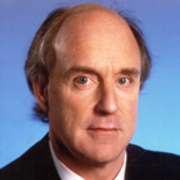 John Clarke made comedy on both sides of the Tasman, taking the character of laconic farmer Fred Dagg to national stardom before relocating to Australia, and starting anew as a political satirist. In 1987 he provided the voice of another famous farmer — Wal, in the big screen version of classic comic strip Footrot Flats. When he passed away on 9 April 2017, Australian Prime Minister Malcolm Turnbull argued that the weekly satirical sketches by Clarke and Bryan Dawe had been "required viewing", and "kept politicians on their toes". On the other side of the ocean, Kiwi comedian Jesse Griffin (aka singer Wilson Dixon) argued that Clarke's "dry Kiwi understated humour" had been an influence on him, Flight of the Conchords, Taika Waititi, and The Front Lawn. "That celebration of the mundane, that dry observation ... he was the first to really bring that out in a performative way." Clarke's mother acted in local theatre in hometown Palmerston North; as a child he occasionally got dragged on stage when an actor went missing. At Victoria University, he dabbled in various courses and performed in comedy shows, where enthusiastic audiences showed him there was a hunger for local comedy. Clarke shot through to London, after a brief gig as a purchasing officer in state television. He fell on his feet, earning fifteen pounds a day acting in notorious Aussie abroad comedy The Adventures of Barry McKenzie (1972), featuring Barry Humphries. The following year Clarke returned to New Zealand, whose people inspired much of his early comedy. In 1975 he joined the ensemble cast of late night series Buck House, New Zealand's first television sitcom. Based around a bunch of students in a rundown flat, the show was risque for its time. Clarke turned up in the second season, as Ken, a new tenant from the country, alongside his Downstage Theatre colleague John Banas. Buck House was where Clarke’s signature line “that’ll be the door”, was first widely heard. The same year Clarke turned up on this episode of music show Grunt Machine, as visiting rock star Hiram W Violent. The character of gumboot wearing, black singleted, and hilariously deadpan farmer Fred Dagg had first began to form during comic revues in the late 60s, at Victoria University. Later Clarke was invited to inject some humour into current affairs show Gallery, where Dagg made his screen debut in late 1973. The name was cooked up by Clarke and Gallery reporter David Exel (Clarke talks about the character's origins in this episode of Face to Face with Kim Hill.) Dagg would go on to appear in short sketches on current affairs shows Nationwide and Tonight at Nine. In 1974 he starred in a special ‘spoof’ episode of Country Calendar which featured a family of multiple Daggs, some played by John Banas. Fred Dagg proved a sensation, which Clarke capitalised on in varied appearances, plus a proposed movie whose script (written with Roger Simpson) ran to 160 pages, but never went into production. Dagg was starting to take over Clarke's life, but the screen appearances were not enough to provide a living. In 1976 Dagg began an extensive tour of the nation. Dagg books and singles became sizeable hits, notably 'The Gumboot Song' and 'We Don’t Know How Lucky We Are' (which was updated and rereleased in 1998). Fred Dagg’s Greatest Hits became one of New Zealand's biggest-selling albums. Wary of both overexposure and becoming stale, Clarke relocated to Australia in 1977. There had also been run-ins with Kiwi state television over a proposed Fred Dagg series; Clarke spoke later of dealing with "directors who thought they were comic geniuses and regarded me as a hired hand. I have never had those problems in Australia". Dagg did not expire immediately. Clarke's friend Geoff Murphy was having problems securing a cinema release for his 73 minute Wild Man (Clarke appears four minutes in, as a travelling salesman). A Fred Dagg short would seal the deal. So Clarke flew back, and jumped in a car with Murphy and company to shoot bionic ram tale Dagg Day Afternoon, in just six days. Dagg would make few screen appearances after a series of five minute episodes which screened in late 1978: The Fred Dagg Lectures on Leisure. In Australia, Clarke's sly wit in impersonating the pompous and powerful soon made an impact, via satirical material created for radio and TV. Having formed a comic partnership with writer/actor Bryan Dawe, the two presented satirical weekly interviews on various slots for the ABC over 25 years. Making little effort to sound like the person he was imitating, Clarke generally played a public figure finding ways to avoid Dawe's questions. The interviews screened before the news; after 2010 they also went on YouTube, where viewers sometimes reached as high as a million. "I don't need to know what the politicians are like because I'm not being them," Clarke told Melbourne's Age newspaper in 2015. "They're just carrying the virus we're trying to deal with. It should be about the ideas ... We're not banging anybody's drum, we're not pushing any party barrow ... We're principally there to amuse an audience with the subject matters that are already concerning the public generally." The duo also starred in one of Clarke's favourite creations: series The Games, which satirised bureaucracy and unethical dealings in the lead-up to the 2000 Sydney Olympics. The show, he said, "was written as a satire, and played as a drama and shot as a documentary". Clarke created and co-wrote with radio DJ Ross Stevenson, and won an Australian Film Institute award and a Logie for Oustanding Comedy. Clarke was also co-creator of comedy The Fast Lane (1986), with Andrew Knight (Fast Forward). The series follows two private investigators, one inept. Not just a funny man, Clarke was widely regarded for his skill as a dramatist. He wrote the original script for hit Aussie feature The Man Who Sued God (starring Billy Connolly) and co-wrote WWl mini-series Anzacs. He helped out on the screenplay of award-winning romance Lonely Hearts — director Paul Cox argued "he contributed a lot". On screen, he acted in acclaimed prison camp drama Blood Oath, was a villainous developer in Crackerjack, and best mate of the anti-hero in cult comedy Death in Brunswick. The film features Clarke in a memorable gravedigging routine, alongside his friend Sam Neill. In 2004 Clarke established production company Huntaway Films, in partnership with Neill and lawyer/producer Jay Cassells. Their productions included TV movies Stiff and The Brush Off, which starred David Wenham as a bumbling political fixer. Clarke adapted both from the novels by Shane Maloney, and directed the first. In 2013 he was nominated for an Australian Film Institute award for three-part series Sporting Nation, in which he charted the country's relationship with sport. Clarke appeared occasionally on New Zealand screens. He provided the voice of Fred Dagg on selected episodes of animated hit bro'Town, and made contributions to sketch show Radiradirah, which features many of the bro'Town team. In this extended audio interview, he talked about his life and career. Clarke passed away of natural causes on 9 April 2017, while he was tramping in Australia. He had finished an acting role in TV series The Ex-PM just days before. He was 68.